Home » You Must Understand Yourself Better! You Must Understand Yourself Better! Great leaders have a real sense of self. They tune into the needs of others. You might say “I see lots of leaders that don’t possess either of those traits.” I would say that they are not leaders. They may manage people. They may be responsible for work. However, I don’t consider them leaders. How do I show up every day? How do I demonstrate empathy? How well do I understand the people I supervise? How vulnerable am I with my staff? How do I give credit when deserved? What is the quality of my listening? How do I make decisions that exhaust the potential for options? What is it like to work for someone like me? These questions are all about reflection! Being reflective makes you take the time to think about what you bring to the table as a leader. We are often so focused on what someone else is doing; we rarely take to time to figure out how we are leading. I challenge you to revisit these questions regularly and record the answers. If you feel the need to improve in any of these areas, let me know. I can help. 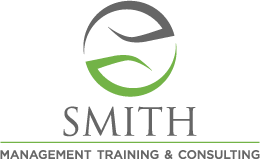 You can reach me at dale@dalesmithconsulting.com or at 919-923-3109. I offer a free thirty-minute discover session about coaching. Let’s calendar a time to explore your leadership. In addition, I offer a FREE E-Book on my website titled, Five Tips to Successful Transitioning. This is a powerful tutorial for new leaders. Simply visit my website at: www.dalesmithconsulting.com to download yours today.